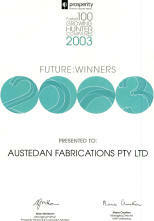 In 2003 Austedan Fabrications was selected as a future winner in the Fastest 100 Growing Hunter Companies. 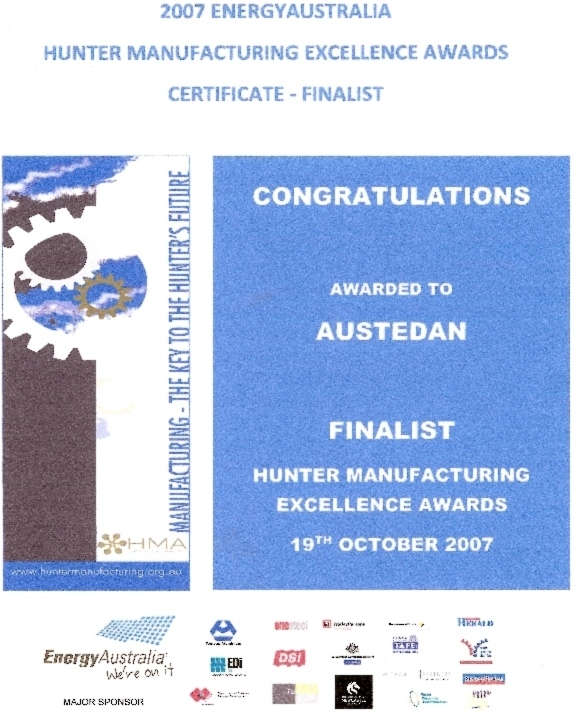 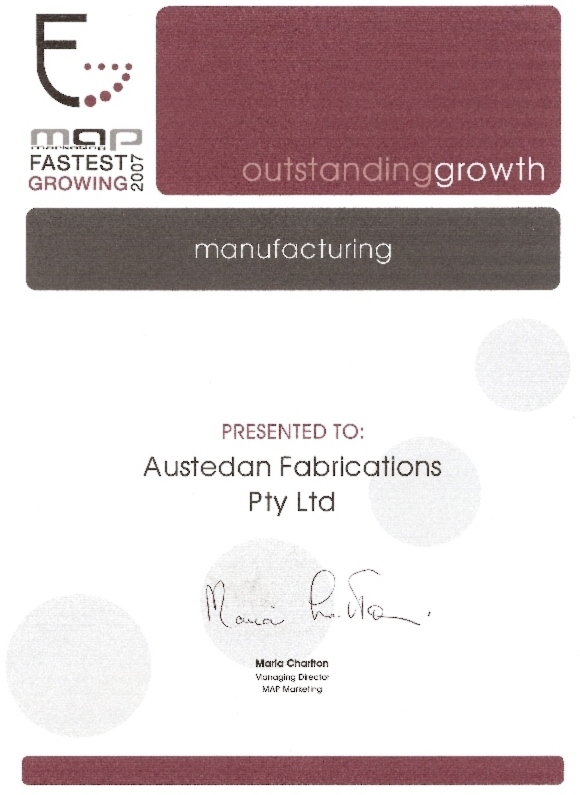 Then in 2004 Austedan Fabrications came 13th in the Fastest 100 Growing Hunter Companies. 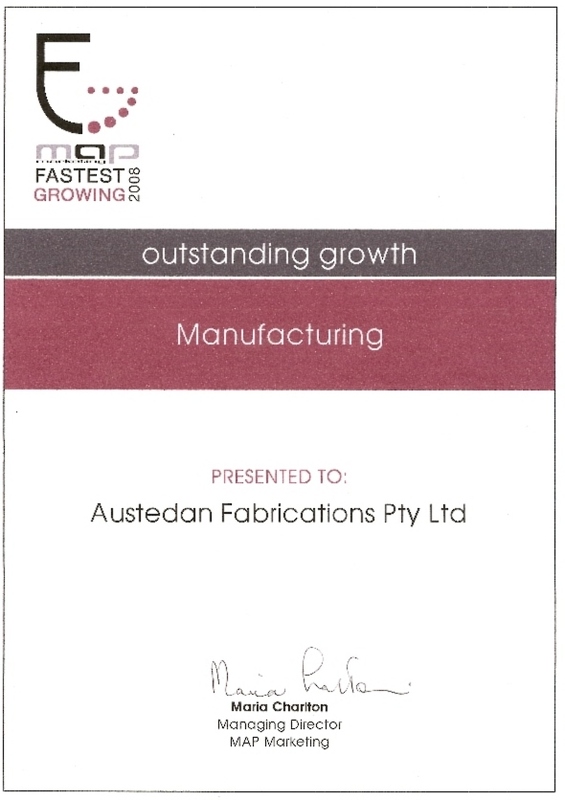 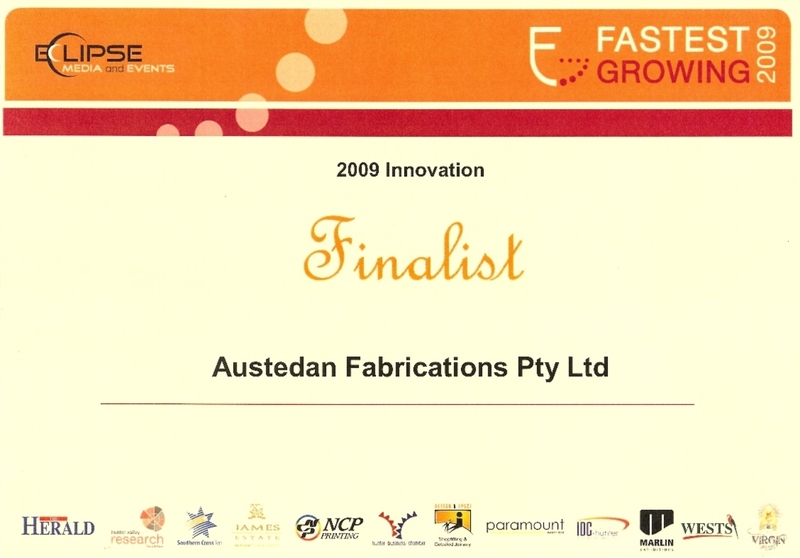 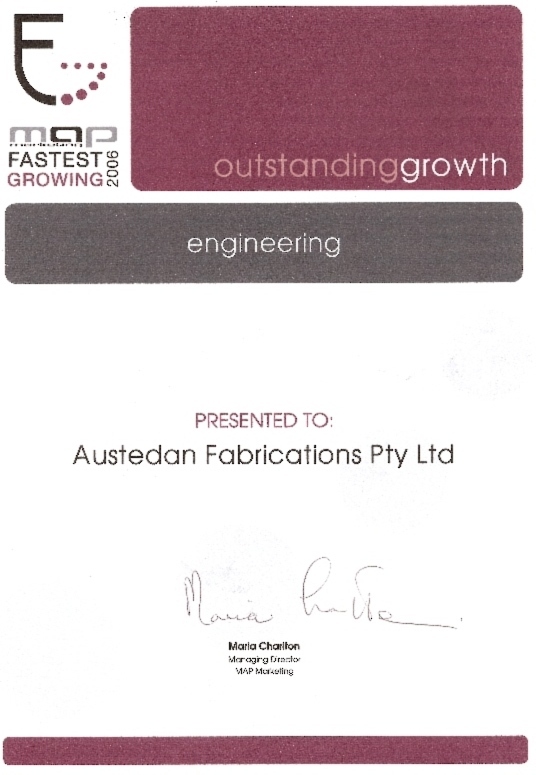 Again in 2005 Austedan Fabrications gained 52nd position proving once again our growth and longevity in this business. 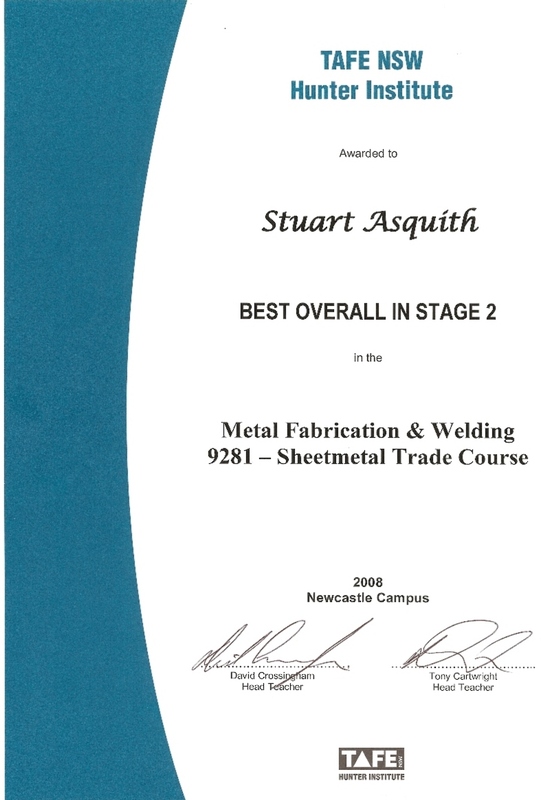 "Best Overall in Stage 2"